Opportunity knocks. Now’s your chance to buy vacant land on a hard corner in an urban environment. This 75’ x 98’ buildable lot in Crookston, Minnesota serves as your canvas to create your dreams. City sewer and water connections may be available. Inquire about city incentives for new housing construction that also may be available. The City of Crookston, (population 7,904, 2013 Census) the Polk County seat, was first settled in 1872 and incorporated as a city Feb. 14, 1879. Crookston Township was organized March 28, 1876. The city area was taken partly from this township as well as Lowell, Andover and Fairfax townships. The Red Lake River, which flows through Crookston, provided a route from Red Lake to East Grand Forks, where it joins the Red River. Steamboats once traveled upon the Red Lake River from Grand Forks to Crookston, later only going as far as Fisher’s Landing because of hazards upstream. Crookston’s location provides opportunities for hunting, fishing, cross-country skiing, and other outdoor activities. The community also has abundant recreational facilities, including a regulation nine-hole golf course, a three-sheet indoor ice arena, an outdoor athletic complex with multiple softball diamonds and tennis courts. Crookston has an outstanding city park system, including an indoor community swimming pool– a joint effort between the city and school. Downtown boasts Widman’s Candy Shop, recently voted the best candy store in Minnesota; the Grand Theater, which just may be the longest continually operating movie theater in the U.S.; as well as some other unique stores. Crookston is the location of the University of Minnesota, Crookston. The Northwest Research and Outreach Center (formerly the Northwest Experiment Station) and University of Minnesota have long been a part of Crookston. Both are located north of the city on property that was donated years ago by railroad magnate James J. Hill. Major employers include: American Crystal Sugar Co., Riverview Hospital, Crookston Public Schools, the City of Crookston, the University of Minnesota, including the institution and the Northwest Research and Outreach Center, New Flyer, Tri-Valley Opportunity, Dee, Inc., SunOpta, and Crookston Welding and Machine. 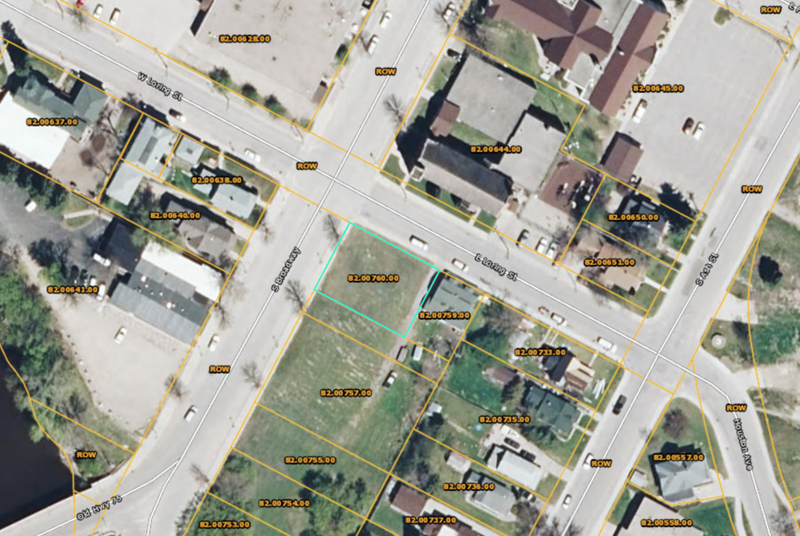 Street Address: Broadway Street S.
How would you like to pay for this property? over time with installment payments. Choose the payment plan that works best for you.